Any of these brands ring a bell? One or two of these names you may have heard of, but the others most likely not. How can you make the best decision of which continuous flow hot water heater to choose if you are not aware of some of the available choices that exist on the market? I will alleviate the amount of research you need to do when looking up about continuous flow hot water systems. This blog discusses all of the major manufacturers of continuous flow products and explains the advantages and disadvantages of each product. Thereby giving you the information to make an informed decision on which product best suits your needs. This unbiased perspective is coming from a licensed Plumber and Hot water specialist who has worked in Australia and the United Kingdom. The following information is based on years of experience and extensive work in the hot water market of installing and servicing continuous flow hot water systems. *I am not promoting a specific product, but rather giving you information from what I have seen to help you to choose the right heater. At the end of the day, I just want you to enjoy your nice hot shower. What are continuous flow hot water systems? Also known as instantaneous hot water systems, continuous flow hot water systems are different from storage hot water heaters. 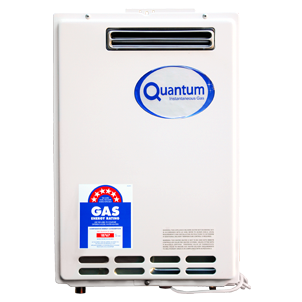 With a continuous flow hot water heater you always have hot water (as the name implies) versus having the hot water stored in the tank which could run out during usage throughout the day. This graphic illustrates how the continuous system works to provide you with hot water when you turn on the tap. For those of you who prefer audiovisual examples, here is a video from one of the first and still major continuous flow manufacturers, Rinnai. In the video Rinnai is promoting a new product, but it is also informative to see the benefits of a continuous flow heater. History of the Continuous Flow Hot Water System and Why it is popular? In 1991, continuous flow was introduced into the Australian market place from Japan by Rinnai. Now fast forward a bit and a lot has changed in the marketplace since having just the one major manufacturer. Today there are 4 major manufacturers with numerous small manufacturers. What makes continuous so appealing? Not only do you get to always have hot water, but it is also efficient. You will see this prominently displayed on the front of the heater. The energy efficiency measurements range from 4 star up to 7 star gas efficiency. Additionally you may see some buzz words being advertised to make the product sound even better. One that you may come across is “condensing continuous flow”. All this means is that it uses exhaust gas as a preheat for the incoming cold water to increase the temperature. This in return further increases the efficiency of the heater to 6.7 to 7 stars. Continuous flow is absolutely dominated by Japanese manufacturers with some smaller Chinese manufacturers coming into play. In Australia, we have not seen as of yet to much of the European manufacturers coming into market. Below, in addition to telling you the good and the bad- I will also discuss where the continuous flow hot water system is from (manufactured) and at the end will summarize in a quick easy table for comparing the different products. Now that you have read through the intro you are into the meat of the story.. Do you remember who introduced the continuous flow hot water systems to Australia… correct it was the Japanese manufacturer Rinnai. Rinnai is the bench mark in both quality and reputation. Continuous Flow hot water systems do not get much better than this. Products offered include the condensing and non-condensing continuous flow. Rinnai is the name in continuous flow. I have just as many people asking for Rinnai units as I do for continuous flow. While there is a lot of good, some things do come up just like with any other product-nothing is perfect. There are a few issues with these units that I have fixed over the years. I have replaced a few printed circuit boards and cleaned the odd fan or combustion chamber out. Overall, the Rinnai continuous flow hot water systems are relatively maintenance free. I recently had the privilege of replacing a unit from 1992 that had not had an issue until it failed earlier this year. Now that is longevity of a product and reliability at its finest. Rinnai has majority share for the Australian market. In Japan they are competing with Noritz for the top position. Interested in finding more out about Rinnai continuous hot water systems or other Rinnai products? Check out their website. Dux has had a few models of continuous flow hot water heaters over the years. These include the Du x Deliverance, Dux Endurance Chofu style, and Dux Endurance Rinnai style. The Dux Endurance Rinnai style is actually a rebadged Rinnai B26. This will be elaborated on more further down. The Dux Deliverance is an older model. It was a small part of their market and I tend not to see so much these days. I am unsure which manufacturer looked after this heater, but it was most likely Chofu or Takagi. I have not performed too much maintenance on these systems. This is due to Dux Deliverance getting on in age and parts were becoming more difficult to obtain as I came into the hot water industry. Their second Continuous flow the “Dux Endurance” was a Chofu model. When Dux first brought these out they had the only “non-condensing” 6 star continuous flow. By doing this it helped with the upfront costs of these systems to the consumer. The Dux Endurance model finished selling around 2012. I have performed a lot of service work on the Dux Endurance model. This includes replacing multiple components with the Dux Endurance. The parts that I have replaced on this hot water system are printed circuit boards, water valves, proportional valves, and a fan. Most of the issues that occurred with these systems centred on issues with the printed circuit board and heaters not reaching desired temperatures. This temperature issue was overcome by the installation of a few resistors on the outlet thermister. Though I had to replace the printed circuit boards, this chofu model had reasonably cheap printed circuit boards compared to some other brands of continuous flow hot water heaters. Currently Dux has moved onto their rebadged Rinnai heaters. These Dux hot water systems are apparently Rinnai’s previous series model- the Rinnai B26. In terms of service work on these Dux Endurance Rinnai style models, I have done very little. Mostly the issues I have come across are issues with the installation itself or gas pressures. What is difficult with this model is the price $$$. You have a B26 and Dux Endurance Chofu style which have the same warranty, same efficiency, same parts, but close to $200 difference in price. Dux were bought out by Noritz late last year. Up until now, there seems to not be a huge amount of change in the company. Currently it is a bit more of ‘a watch this space’, as many of the other hot water manufacturers are in limbo as to what Noritz is going to bring to the Australian market. The rumour mill suggests that Noritz will bring out their own 6 starcontinuous flow products and leave other manufacturers with only access to their 5 star gas efficiency range. The future is looking bright with Dux/Noritz through the possible majority share of the market and their focus on improving their products through state of the art research and development. In recent years, they have gotten on board with Bunnings. Keep up to date with the latest information about the Noritz continuous hot water systems. If you are interested-be sure to check in the next few months to see what continuous product they bring out. Bosch uses the Noritz brand for most of their continuous flow products which includes the 17E, 21E, and 26E and corresponding Bosch professional products. Bosch has recently brought out their 4000S range which is a room sealed internal range of continuous flow products. I believe this product range will come into its own because of the distinct advantages it offers. One of these advantages includes ease of installation in locations that cannot be installed by other heaters. Are Bosch products made in Germany? Many people associating Robert Bosch hot water with the Germans would be wrong. Although Bosch itself is a German company, the Noritz product (which Bosch purchases) is rebadged and sold as Bosch continuous flow. Bosch’s new 4000S range is made in Portugal. How do the 4000S continuous flow range products measure up? The product has not been out long enough for me to have an opinion. However, in terms of the existing continuous flow range, I do not find too much fault with it. It is a good price and a consistent product. Maintenance issues are mostly printed circuit board issues and filters becoming blocked fairly easily. I also came across an inbuilt circuit breaker tripping issue. However, this issue only occurred in Bosch continuous hot water system units that got to a certain age. As I mentioned before the hot water industry in Australia is a bit in limbo with Dux being bought by Noritz. I believe Bosch hot water Australia would be the company most in limbo. On the flip side I would not underestimate what Bosch may bring out in response as a competitive product. Want to learn more about the Bosch Continuous Hot Water System Range? Check out the Bosch 4000S Internal Continuous Flow Heaters and Bosch Highflow Series brochures. The Rheem continuous flow is owned by the large Japanese corporation Paloma. Worldwide, Paloma is a very dominant hot water company. Their continuous flow heaters do have a tendency to have issues with printed circuit boards. The major downside of this is the cost. Most of their printed circuit boards will set you back $700 to $900. They have changed things with being the only continuous flow on the market that delivers 27 litres per minute. This highest capacitive on the market benefits the customer because multiple hot water outlets can be running simultaneously and you do not lose pressure or the hot temperature of the water. Chromagen is an Israeli company which has been established in Australia for some time now. Chromagen is branding their continuous flow as an eternity (they are implying that you never run out of hot water-it lasts for an ‘eternity’). Also, the Eternity continuous flow hot water system is sold through Bunnings. If you have been to Bunnings and looked at the selection of hot water systems, the Chromagen Eternity is the cheaper continuous flow that they sell. In terms of servicing the Eternity Chofu continuous flow, it was very easy to service because of my previous history with the Dux Chofu product. However, they have since changed over to the Takagi brand continuous flow that is also out of Japan. My experience with servicing the Takagi models is not as great as some other manufacturers. However, I have replaced a few printed circuit boards in these products. This brochure has information about the Chromagen Eternity Continuous Flow including technical information. Reece have been badging their own continuous flow for some time now. Reece is using the Chofu system. I am unsure if Chofu have sorted out printed circuit board issues they were having with their previous models. For the sake of Reece’s reputation I hope they have sorted out these issues. With Reece’s 200,000 + hot water heaters, they have taken a large percentage of the hot water continuous flow market and are increasing this market everyday. Thermann is the main and biggest user of the manufactured Chofu brand. I have only dealt with this product from an installation perspective. In my opinion, I believe that it is at the lower end of the market. They use ½ inch cold and hot. Absolutely everyone has their own continuous flow these days! Kelvinator has also hopped on the continuous flow bandwagon a few years ago. This Swedish company owns the American brand Kelvinator. Kelvinator has mostly sold direct to some builders. I believe this unit is a Takagi. I have not been called out to one of these products as of yet, so cannot confirm this. My opinion on this is that I would probably stay away from this product until there is a little more market confidence. I have hardly heard of this brand, but is a company based on the western side of Australia. Also interesting is that Merlin also made in WA which is very unusual in the current Australian manufacturing situation. Other than the fact it is made in Australia, I know very little about the product. My hat goes off to them though for having a go with an Aussie designed and manufactured product. To view the Merlin Continuous Flow System information check out their website. As you can see it is the Age of the Continuous Flow hot water systems. Many companies are selling this product, but when it comes down to it, there are a few Japanese models- mainly Chofu and Takagi-that are being sold. This may make you think a little more because though there is a good reputation behind the company- where is the heater REALLY coming from. Just one more factor to consider when choosing which continuous hot water heater is best for you. Good luck in your continuous flow hot water heater search and I hope you learned something new from this information. Also one last thing to mention- Warranty information. All heaters have a 10 year heat exchanger warranty and 3 years parts & labour. Exceptions: Rinnai offers 12 year heat exchanger warranty. Merlin only has a five year parts and labour warranty.